← Today You Must Choose! Her publishing credits include three books in the Amish of Seymour series from Whitaker House: Patchwork Dreams, A Harvest of Hearts (winner of the 2012 Clash of the Titles Award in two categories), and Promised to Another. The Amish of Webster County series, Healing Love (finalist for the 2013 Christian Retail Awards). Surrendered Love and Awakened Love followed by her first Christmas novel, A White Christmas in Webster County, as well as the Amish of Jamesport series, The Snow Globe, The Postcard in April 2015, and The Birdhouse in September 2015. Other credits include Swept Away from Abingdon Press’ Quilts of Love series. 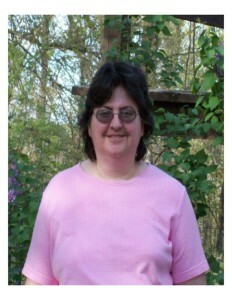 Laura is a member of American Christian Fiction Writers and a professional book reviewer. 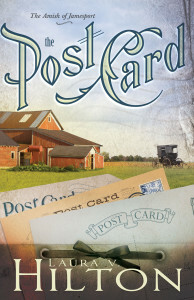 The Postcard was an idea that stemmed from a reader’s letter. She read Promised to Another (book three in the Amish of Seymour series) and wondered what happened to David Lapp, a secondary character in the book who survived a semi-truck/buggy accident. I had no intentions at that time of writing more about David, was well into my second book series, and he didn’t factor into the Amish of Webster County series. I told the reader I would pray about David’s story, and thanked her for asking to see it. As a result, God gave me The Postcard. Except this third series wasn’t set in Seymour or in Webster County, it is set further north in Missouri, near the Iowa stateline, in Jamesport. I had to have a reason for David to suddenly up-and-move to a new Amish community. A postcard pen-pal named Rachel Miller was the draw David needed. And when he discovered that some of the Amish drive closed buggies in Jamesport, that was the cement. An enclosed buggy has to be safer than an open one, right? I set the stage for David’s arrival in The Snow Globe (which is the first book in the Amish of Jamesport series) by having Rachel share David’s first letter with her cousin Esther. But neither Rachel nor Esther dreamed that David would soon walk into the store where Rachel worked (The Amish Market is a real store in Jamesport) and that Rachel’s world would suddenly turn upside-down as a result. My husband and I drove the dirt roads in the area where some of the Amish live (some are on main roads) and found the schoolhouse and an Amish farm right across the road—where I imagine Rachel and her family lived. I enjoyed the research trip to Jamesport, and found the homes of my other characters in the series (and subsequent series that I’m writing now) but the rest of the story was up to God. Why did David leave Bird-in-Hand, Pennsylvania to move to Seymour? What kind of welcome would he find in Jamesport? How much did he heal from the buggy accident he survived, or was he still disabled? And what would the faith message be? I am a seat-of-the-pants writer so I do minimal planning for my books. I also do a lot of praying. And The Postcard took me down unexpected roads, and had lots of surprises along the way. I hope readers will love the journey as much as I did, and will stay along for the ride with The Birdhouse releasing in September, which will be about Rachel’s cousin, Greta. David plays a key role in that book, too. David Lapp survived a “code blue” when he was in a buggy/semi truck accident in Seymour, Missouri. Now after extensive therapy he has lingering mobility problems and is still struggling to find his place in the world. 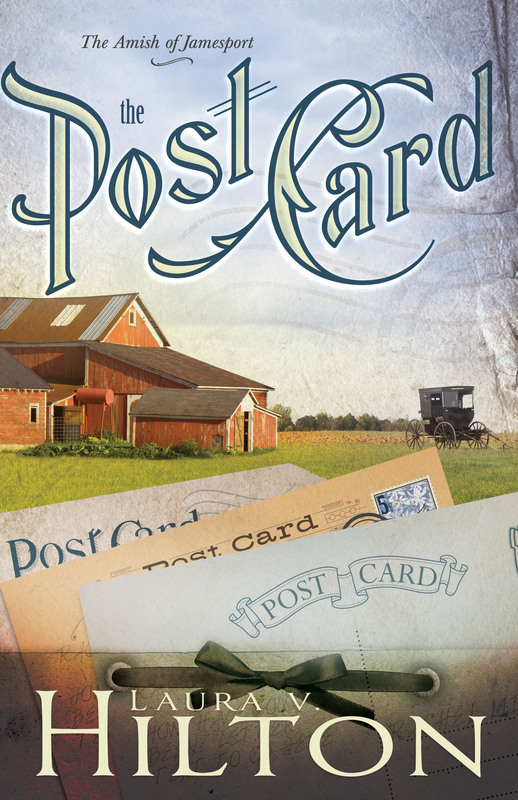 Lured away from Webster County by thoughts of closed buggies and a postcard friendship he’s developed with an Amish girl in Jamesport, he moves north, hoping for a fresh start. He finds work in the area tying flies and basket weaving, selling his products in the Amish markets in the Jamesport area. Thanks for stopping by Laura and sharing with us about The Postcard. It sounds like a wonderful story.